We start off the show today with a discussion of the violence off the coast of Gaza. This weekend, Israeli soldiers raided a flotilla of ships in international waters who were heading towards the blockade of Gaza. 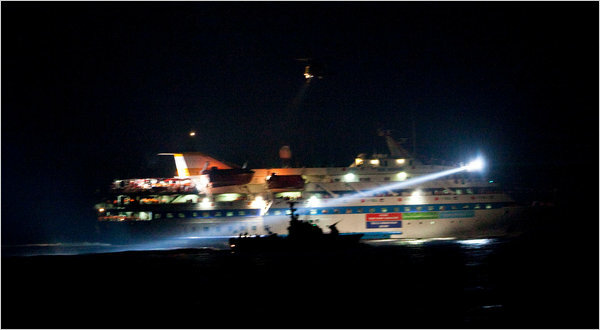 Nine of the activists on the boat were killed, and both activists and Israeli soldiers were wounded. We hear voices from Israel, Turkey, and the U.S. on what the raid means for the Middle East and the U.S.
David Makovsky, Director of the Project on the Middle East Peace Process at The Washington Institute for Near East Policy and co-author with Dennis Ross of Myths, Illusions, and Peace: Finding a New Direction in the Middle East .